Marisa Kellam – Why Pre-Electoral Coalitions in Presidential Systems? This is a guest post by Marisa Kellam, Associate Professor, Waseda University. It is based on her recent article in the British Journal of Political Science. Presidential politics goes hand in hand with coalitional politics in Latin America, especially in South America. As recently reported in this blog, presidents in the region often depend on the support of other parties to win election and to govern. In this post, I will focus on pre-electoral coalitions. To give some recent examples: President Bachelet in Chile, President Santos in Colombia, and former Brazilian President Dilma Rousseff all ran for re-election with a multiparty electoral alliance. Multiple parties also supported Argentine President Macri’s candidacy. In recent elections in other countries, the incumbent party candidate defeated an opposition pre-electoral coalition, such as in Ecuador’s recent election, Bolivia’s 2014 presidential contest, or the 2013 presidential election in Venezuela. In fact, pre-electoral coalitions in presidential elections have been a feature of Latin American democracy since the third-wave, and even before. Yet the conventional wisdom has been that these coalitions were “not binding past election day.”  However, increasing attention to post-electoral coalition formation in comparative presidentialism research has led to new findings that winning pre-electoral coalitions usually go on to form post-electoral governing coalitions. Does the strong empirical correspondence between pre-electoral coalitions and post-electoral governments call for a revision of the conventional wisdom? My recently published article in the British Journal of Political Science speaks to this puzzle. Why do parties form pre-electoral coalitions in presidential systems? From the perspective of a presidential candidate, it would seem to be an easy answer—the more in my camp, the merrier—that is, unless she must give something in return. When considering potential partner parties, we might assume that the presidential candidate offers them government positions—just as presidents offer coalition partners in government negotiations—except that pre-electoral agreements involve only promises not actual offers. Although I set out to overturn the conventional wisdom on pre-electoral coalitions, I found no convincing argument to support a contrary claim that presidential candidates’ promises to distribute government positions and resources to other parties are credible commitments in presidential systems. Presidents alone control cabinet appointments—even their own parties cannot hold presidents immediately accountable. Moreover, presidents’ partners will not necessarily punish them for breaking their pre-electoral commitments. A party that wants access to resources under the president’s control is unlikely to make a loud complaint, much less to pull out of the government completely. And if parties do not reveal the extent to which presidents fail to honor agreements to share spoils, then neither presidents nor their parties will pay a reputational cost. This isn’t to say that presidents will break their promises; it is only to make the point that candidates’ pre-electoral promises to share spoils are “cheap talk” and party leaders know this. I find it useful to contrast these behind the door negotiations with presidential candidates’ public campaigns. A presidential candidate and her political party pays an immediate reputational cost if she publically campaigns on a policy compromise made with another party in order to gain its support. True, a president is not bound to her campaign platforms. But even so, the pre-electoral policy agreement reveals information about her policy positions. A pre-electoral policy agreement also gives the president and her partners a shared mandate, or common purpose, after the election. And if the president ends up reneging on that policy agreement later, the coalition partner would likely refuse to go along, consistent with their own electoral incentives and policy motivations. These differences between patronage promises and campaign platforms provide some insight as to why parties join pre-electoral coalitions to support other parties’ candidates in presidential systems. Political parties join pre-electoral coalitions in pursuit of policy goals, but not as part of an office-seeking strategy. To provide empirical evidence to support this argument, I compare characteristics of the parties that joined pre-electoral coalitions with those that did not. More specifically, I compare the probability of participation in pre-electoral coalitions of programmatic parties to that of particularistic parties. Particularistic parties are those that experts classify as having no discernible policy position on the standard, left-right macroeconomic dimension of politics; instead, particularistic parties focus on the distribution of “pork” and patronage or serve single-interests. According to my reasoning, if these parties do not have policy goals then they should be less likely to join pre-electoral coalitions (unless one of their own members is on the president-VP ticket). Programmatic parties, in contrast, may use pre-electoral coalitions to identify and help elect presidential candidates who are closest to them in terms of policy. I analyzed coalitions formed, and not formed, in 77 elections held in 11 Latin American countries. I found that programmatic political parties (i.e. policy-seeking parties) were more likely than particularistic political parties (i.e. office-seeking parties) to join pre-electoral coalitions in support of another party’s presidential candidate. As expected, I also found that the greater the ideological distance between a programmatic party and the party of a presidential candidate, the less likely they are to join that candidate’s coalition. While the once conventional thinking that presidents have little incentive to form governing coalitions has been overturned, this does not imply that the conventional wisdom regarding electoral coalitions should also be cast aside. As I have discussed, pre-electoral coalition bargaining differs from post-electoral government negotiations, with important implications for presidential politics in multiparty systems. In conducting this research, I realized that the reason why parties join pre-electoral coalitions in presidential systems is less obvious than it appeared at first glance. Even if pre-electoral coalitions are not binding commitments to govern together after the election, the coalition formation process itself informs political parties about their respective policy positions and creates a shared mandate. [] On a side note, the prefix “pre” seems unnecessary to me, but I use it nonetheless because the term pre-electoral coalitions is widely used in the literature. Mainwaring, Scott, and Mathew Shugart. 1997. Presidentialism and Democracy in Latin America. Cambridge UP, p. 397. As discussed previously in this blog, see Freudenreich, Johannes. 2016. “The Formation of Cabinet Coalitions in Presidential Systems.” Latin American Politics and Society 58(4): 80-102. In my own work-in-progress with Cecilia Martinez-Gallardo, we also find a strong empirical relationship between pre- and post-electoral coalitions in Latin America. This entry was posted in Latin America, Presidentialism and tagged Coalitions, Latin America on May 3, 2017 by Robert Elgie. At least since Shugart and Carey, debates moved the simple distinction between presidentialism and parliamentarism towards a focus on the factors that distinguish among presidential regimes. 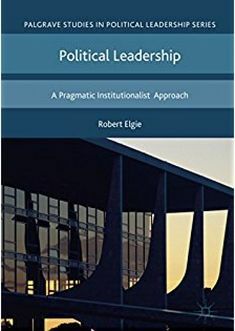 Presidential power (formal and partisan) has been a central focus of these newer debates, and the shape and functions of coalitions has also become a central interest. How do these two variables interact? In this post, I first provide a short discussion of the definition of coalitions and then focus on just two themes. First, while it is simple to notice that strong presidents have less need for congressional coalitions, it may be less evident that the type of opposition also matters to this equation. This leads to the conclusion that the impact of presidential power on the coalition politics is dependent on the legislative type. Second, not all presidential powers have the same impact on coalition formation, and thus broad indices of power may not be indicative of the relationship. The sub-conclusion of that discussion is that the partial veto is particularly detrimental to legislative coalitions. In presidential systems, the term “coalition” has at least three meanings. It can imply that parties come together during an election to support a particular candidate, b) that the cabinet is composed of a multiple parties, or c) that legislative parties join together to support a particular policy. Cabinet coalitions are still an understudied phenomenon in presidential regimes, but an important theme in the studies (e.g. Amorim Neto) is whether the president is able to buy (or rent) support by offering a party membership in the cabinet. In some countries (eg Chile) this works better than in others (eg Brazil), but a general conclusion is that cabinet membership augments, but does not guarantee legislative support. For that reason, in this note I focus on the propensity of presidents to negotiate with legislative parties on policy coalitions. In a paper with Gary Cox (2001), I argued that presidents have alternative strategies, and they choose them based on legislative “types.” If the legislature is “workable” then presidents should seek to build coalitions and make compromises to achieve their policy goals. Imperial presidents, however, have no need to negotiate with the legislature. This suggests that presidential powers, at least in part, are inversely related to coalition-building. The relation is incomplete, however, because legislative types are also actors in the relationship. Parties (or their component legislators) are interested in joining coalitions for either access to power, resources and perks, or to influence policy. As Strom (1990) and others have shown (see also Laver & Shepsle 1990), parties may have more influence on policy from outside the coalition. A number of studies (note the recent paper and post to this blog by the Doyle and Elgie) have sought ways to measure the totality of presidential powers. Clearly strong powers generally influence the likelihood of a president needing the cooperation of the legislature. President who can impose their will by decree, for example, have little need to compromise with recalcitrant legislators. Other powers that are common parts of power indices, however, have less (or at least less direct) impact on the likelihood of inter-branch cooperation. As intended by the US founders, the veto power and its override provisions, for example, can encourage cooperation. Veto provisions vary in terms of override provisions and what Aleman and Tsebelis (2004) call “amendatory” provisions. Many countries (and US governors) also have some form of partial veto, and its provisions can destroy incentives for inter-branch cooperation. While it may help a president to limit pork from some budgets, it has a sharp negative impact on inter-partisan deal-making. If the president can undo a logroll deal that led two parties agree to support a bill, then the parties will not join in the first place. Omnibus budget bills in the United States, for example, join legislators from across the political spectrum, each supporting the bill in exchange for particularistic payoffs. If the president can excise the pieces of the bill that he or she finds objectionable, legislators will be reluctant to join the coalition. The use of the partial veto presents interesting opportunities for further study. Llanos’ (2001) study of presidential power in Argentina, for example, suggested that while President Menem used the partial veto to improve his ideological position, he did not undo all legislative bargains. A comparative study could push this idea to illuminate the degree to which the partial veto hinders coalition formation. Scott Morgenstern is Director of the Center for Latin American Studies at the University of Pittsburgh. His research focuses on political parties, electoral systems, and legislatures, with a regional specialization in Latin America. Among his publications are Patterns of Legislative Politics: Roll Call Voting in the United States and Latin America’s Southern Cone (Cambridge University Press, 2004), Legislative Politics in Latin America, (coeditor and contributor; Cambridge University Press, 2002), and Pathways to Power (coeditor and contributor, Pennsylvania State University Press, 2008). He is just finishing a book “Are Politics Local? The Two Dimensions of Party Nationalization around the World’. His articles have appeared in the Journal of Politics, Comparative Political Studies; Comparative Politics, Party Politics, Electoral Studies, Review of International Political Economy, and other journals. He was also the primary investigator on a grant from the USAID to produce documents related to their political party development programs. This entry was posted in Presidentialism and tagged Coalitions, presidentialism on January 13, 2015 by Robert Elgie.